Del Torrance(? 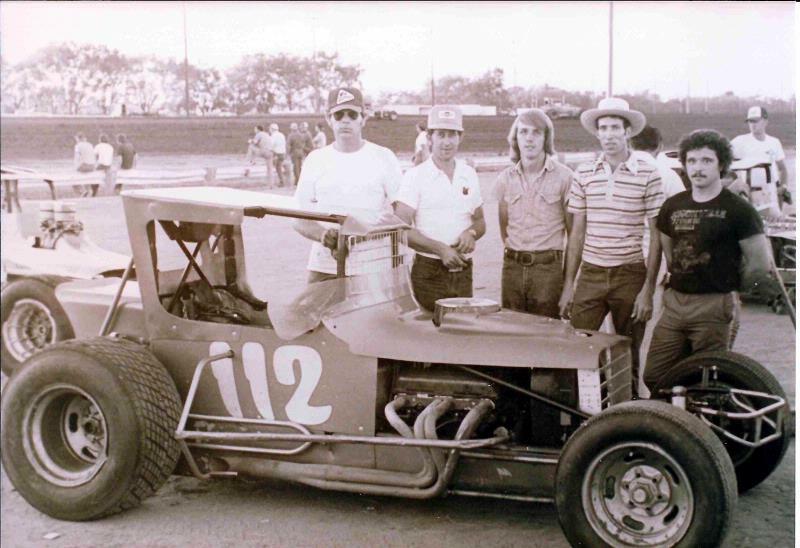 ), Wayne Wright, David “Jody” Wright, Ken Wright (owner), and Shane Carson taken at Enid. 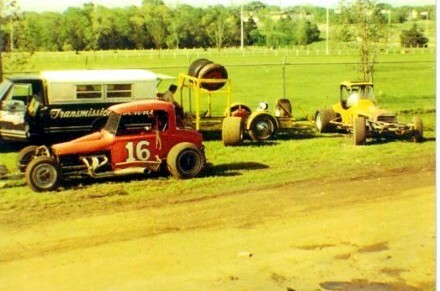 This was probably 76 or 77 at 81 Speedway. 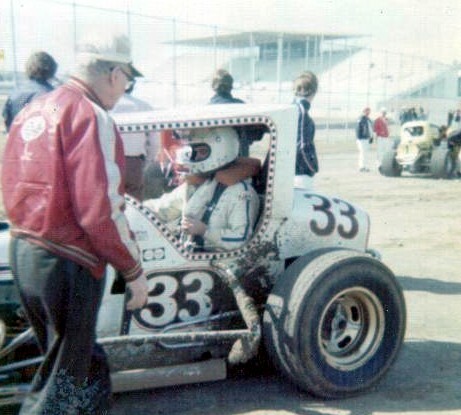 In the background is Jim Selenke and his first year car #4. 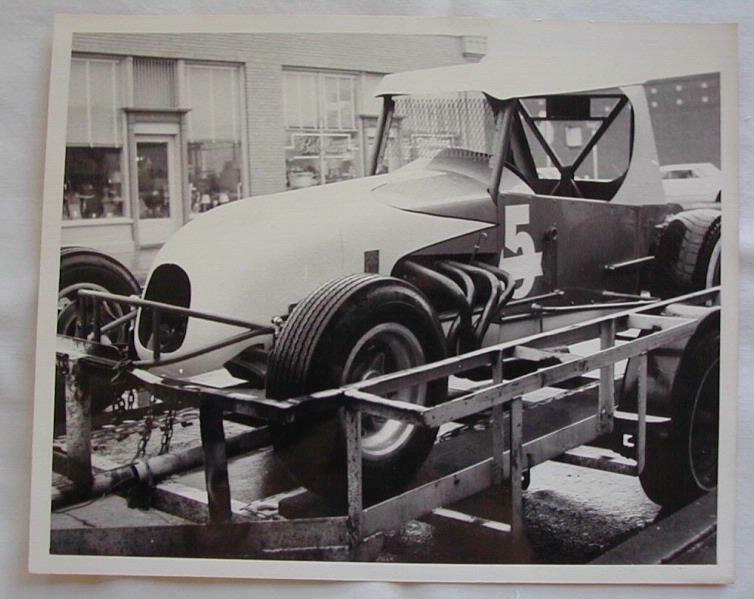 Duane Cain/Hap Looney's trailer in his first year driving the #58, formerly Don Engels #501. Cool trailer for back in the day. 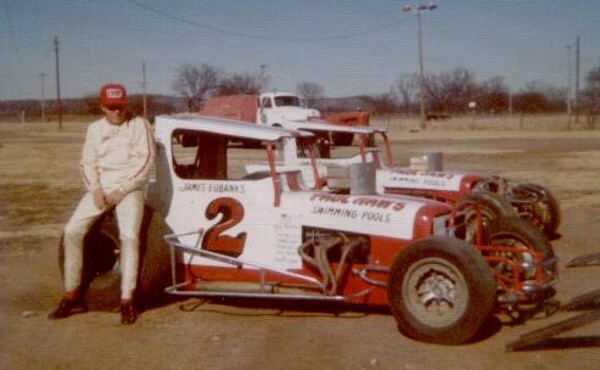 James Eubanks strapped in and ready to go. In the background the Tajmahal of racing grandstands. The man in the red jacket is the grand old man of Tulsa racing, Mr. Joe Cox. Mr Cox started driving in the 1920s-30s and had a machine shop on East Admiral. 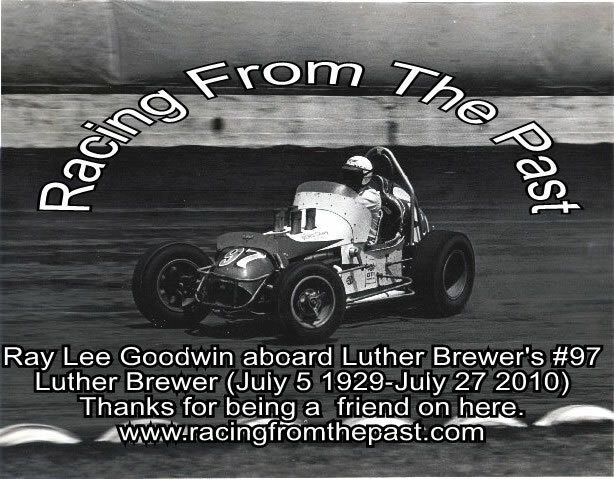 He owned race cars until he passed away. He gave Emmitt his big break when Chick Giagaleto (SIC) retired and Emmitt got the ride. After Mr. Cox passed Jim Morris bought the shop and ran it until he passed of heart attack in 1992. The new Tulsa race track was the best around and it still makes me mad what they did with it.The county sold bonds to build it and the race track was able to pay those off early. It only ran from 1974 to 1983. 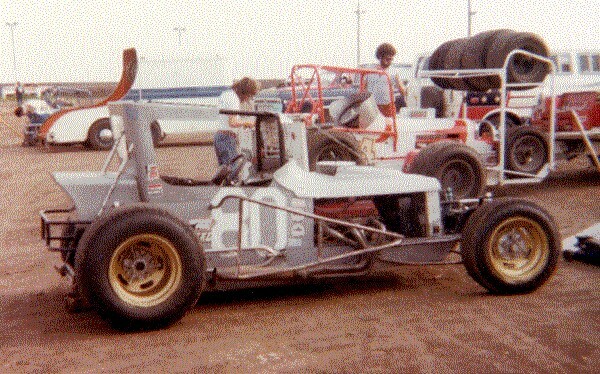 In 1984 the 1/4 track was enlarged to a short 3/8s and they race only one season before the racers were kicked out. I have said it before that the best weekly racing was here in the mid-west but look what has happened to the Tulsa and OKC tracks. Tulsa had an average of 8,000/10,000 fans with the best weekly purse in the nation and OKC was not very far behind and look what our elected leaders did to the programs. 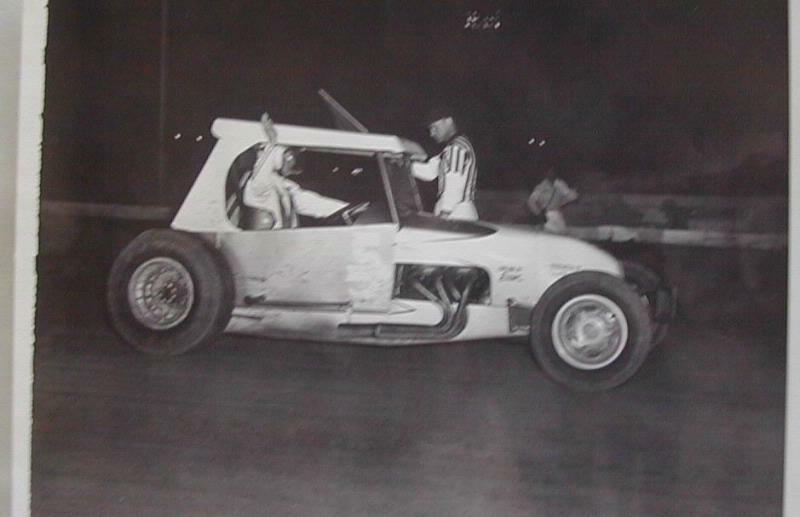 I remember opening night at The Tulsa Speedway. Walking up the ramp and looking at the grandstands and the size of the track. Big was not the word for it. Had that same feeling again when I went to Daytona. Fast and hold your breath track. 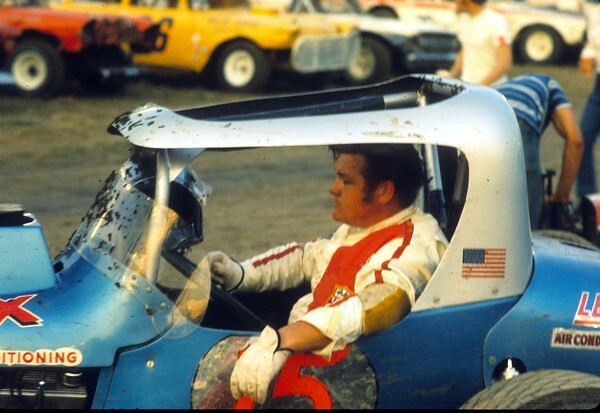 Driving into turn one for the Modified or Supers A feature was more a survival thing then a racing thing. In those days there was really nothing to do but go to the races. Cable wasn't around and computers? What was that. Nintendo was something that was in the future and never heard of. Heck just a few years prior to the opening of the big track, we landed a man on the moon. 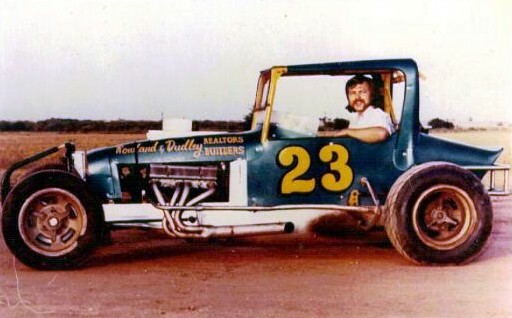 One of my fondest memories was the NCRA race in October of 1976. Dale Reed in Shot Hamptons 94 passed George Armstrong on the last lap in the last corner to win. It was a bitter and I mean bitter cold night. But it was a great race. Hahn and Crawford rivalries was one of the best. I was a Crawford fan. 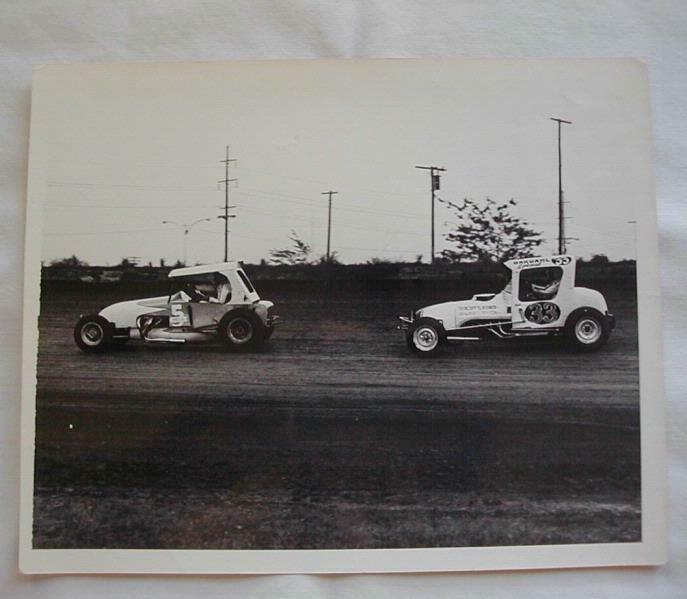 But when we went out of town to an NCRA race, had to yell for any of the Tulsa guys that were doing great. 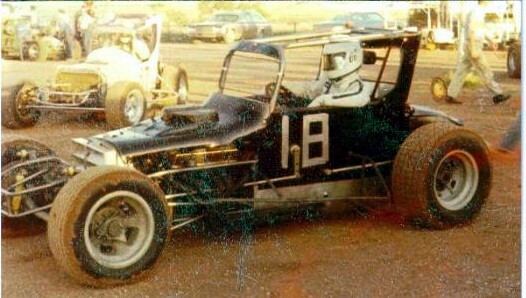 Don Black from the Kansas City, MO area waiting to hit the Riverside track in the late 60's or probably the early 70's. J.D. Black, Don's son contributed this photo. He commented it was probably 1965. I'm sure we will get a more probable date. I just don't think the Edmund's body style showed up around there until 68. By 1970 they were everywhere. J.D & Robert followed in their dad's tire tracks racing also. 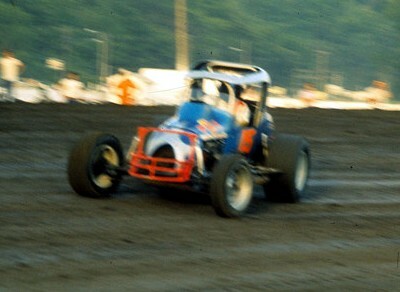 Don at speed on the Riverside dirt. 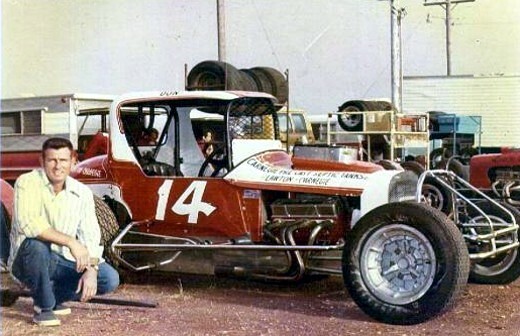 This was Norman's #17 car that he sold after the 76 season. He sold it complete without the engine for $2,500. I do not know what that would be in today's money probably less Than $500. I was looking at the "Sooner Circle" site and it told what the tracks are paying now and it is less Than a feature win at Tulsa in the 70s. In Tulsa on a good night the feature winner might win $1,000-$1,400. An average night was about $800-$900. That was great for a weekly track. When the World of Outlaws started the feature winner was paid $2,000. That was in 1978. 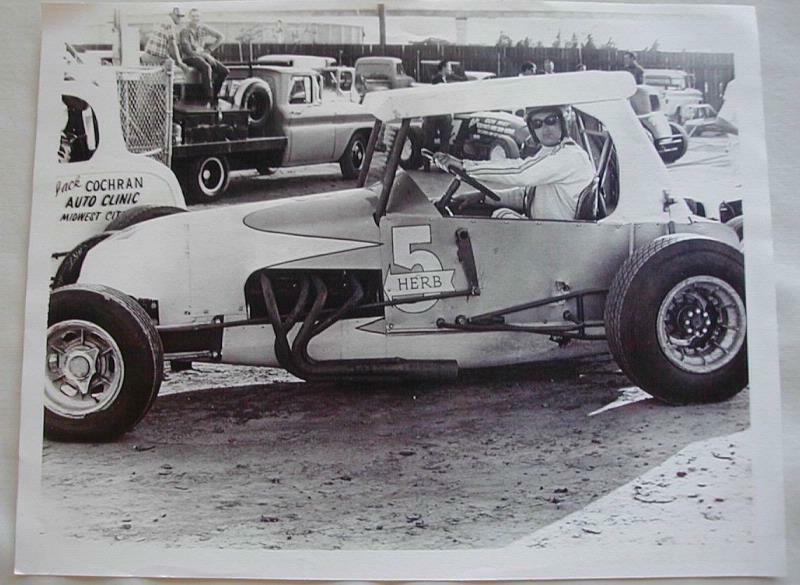 This car was the one that Mike Peters won the Enid modified NCRA race in 1974, that was Mike's first big win. That was the day that the flagman was killed. Ray, You can go to auctions today and buy frame/kits that are 10 yrs. or less for $150 to $300 and a Roller without Motor for $2,000 if the seller is willing to let it go at that and have seen that before. 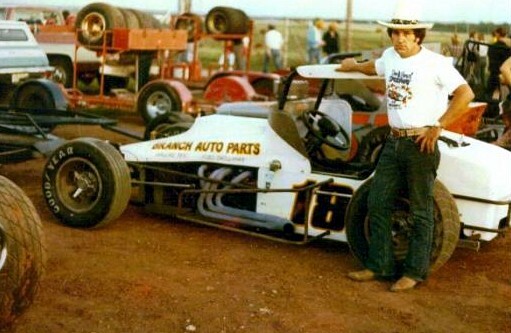 It is crazy deal today , pay in Champ Sprints ranges from $400 to $1,000 depending on where you run in Okla., bad deal today but if you want and still desire to race then that is what you have. $800 in 1976 = $2,800 in 2009. Actually it was $2,799.64 , but i rounded it off. 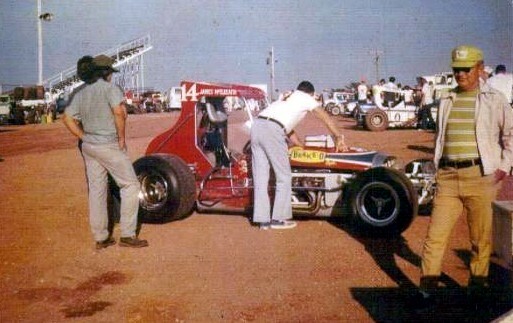 In 1974 Norman paid Jelly 4,700 for the 117 car. this was a straight rail frame chevy 3 speed trany and no power sterring. This car was a top of the line car at the time . 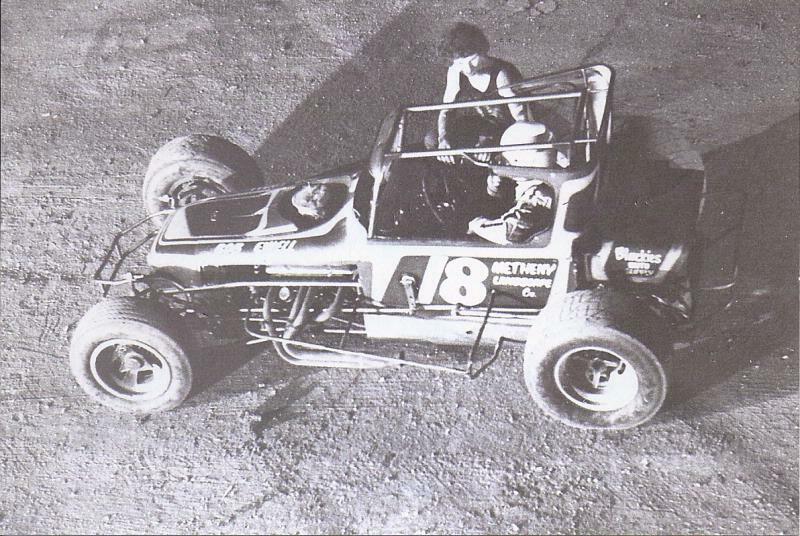 In 1978 he paid Stanton almost $10,000 for a space frame car with power sterring and an in/out box. The price of a top of the line car doubled in 4 years. I assume tht a new Nance or Jelly car was about the same in 1978. How much is a power sterring unit now? 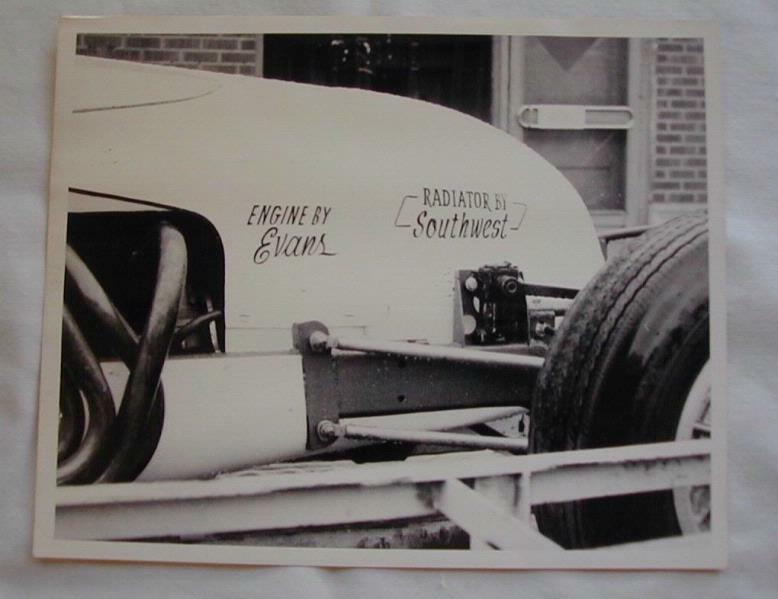 I picked up the Lee power sterring that was put in the 71 car in 1976 fom Grand Prix here in Tulsa and it was $770. I imagime it is alot more now.